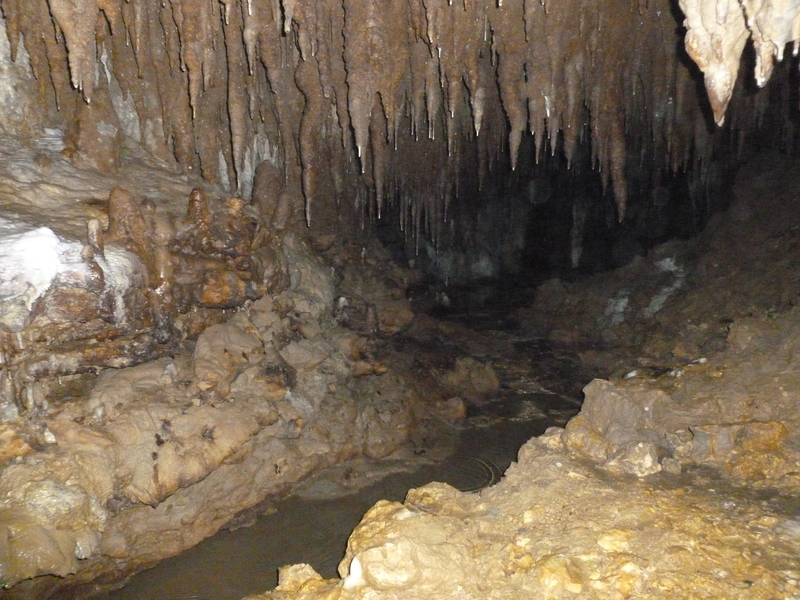 Snakes, Caves, and Habushu: Oh My! Simultaneously one of the coolest and creepiest adventures we’ve had thus far here in Okinawa, was our trip to “Okinawa World.” This park is a major tourist spot in Okinawa, so naturally we had to check it out. The first stop inside the park was to the Habu museum. 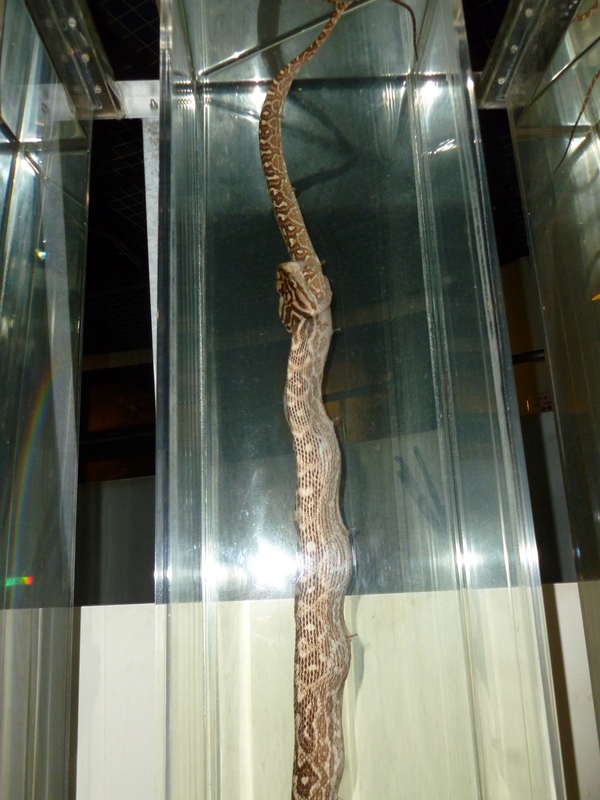 The Habu viper is a mean, poisonous snake indigenous to the island, and this museum was dedicated to it. 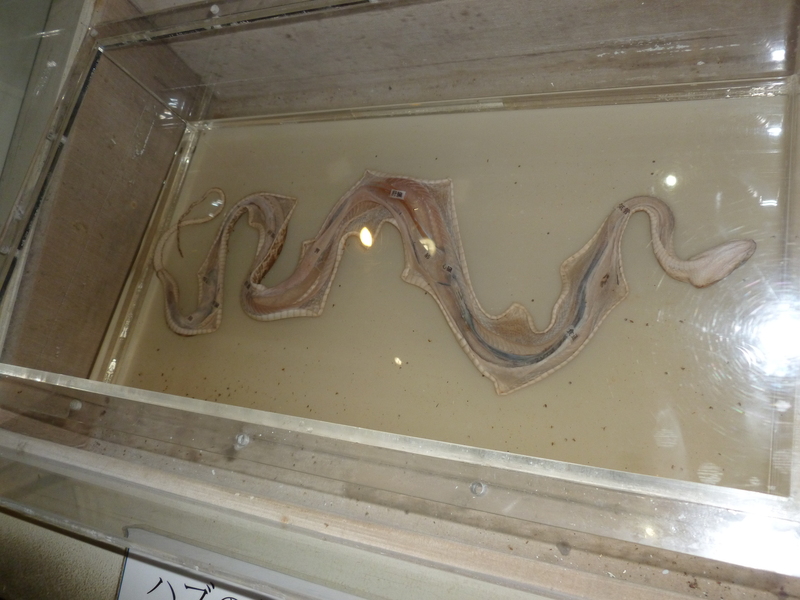 Even worse than the dead habu displays was the habu show. In the early 1900s, in an effort to control the habu viper and cobra populations, mongoose were brought over from India and introduced to the forests of Okinawa. Later, people made a sport of fighting mongoose and these venomous snakes. Over time, the mongoose population devastated local indigenous species and as a result, the Japanese government is working to eradicate them. 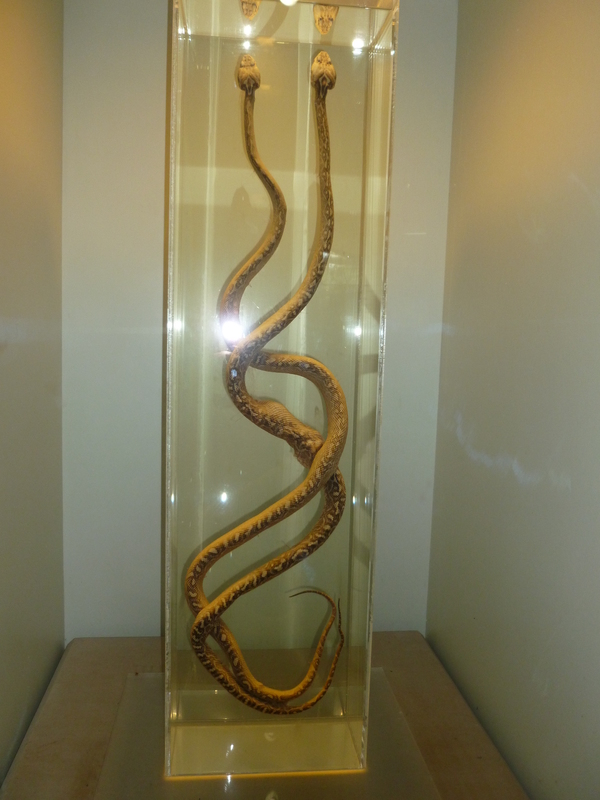 Anyway, inside Okinawa World’s habu museum, there is a mongoose-snake competition, although today it is a bit different than it used to be. According to the pamphlet that was handed out, in the year 2000, they switched from a mongoose-cobra “death match” to a friendly swimming competition between the mongoose and a sea snake. After the swimming competition, (which, as you can see, the mongoose dominated… the fear of drowning is probably an excellent motivating influence) the snake handler brought out a habu viper and made it attack a balloon. After that, she brought out a very angry cobra and slapped it a few times in the back of its head so that it hit its head on the floor. Of course, everyone but Casey and I laughed. I decided this was the last time we would ever see this show. Next, we ventured beneath the earth to see the most amazing thing I have ever witnessed. 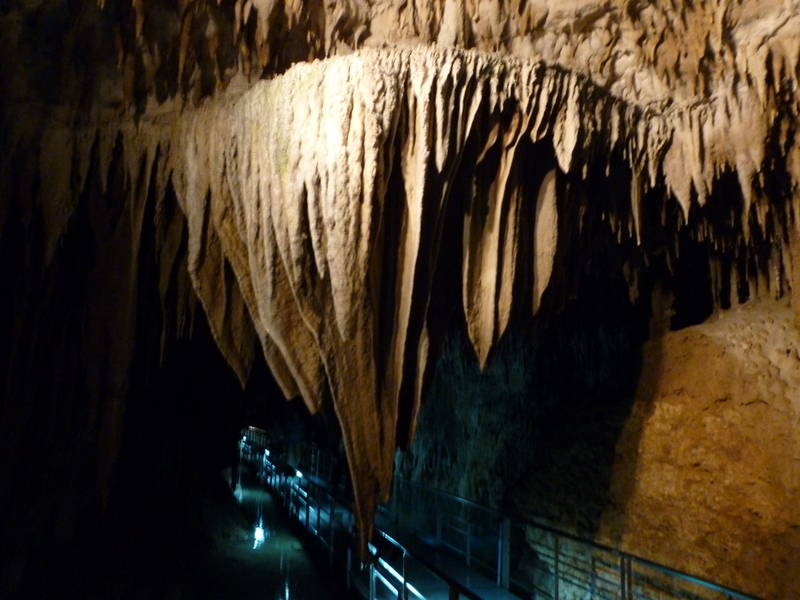 Gyokusendo cave is a 5-kilometer long cave where we were able to see over a million stalactites and stalagmites. It was an amazing limestone labyrinth. 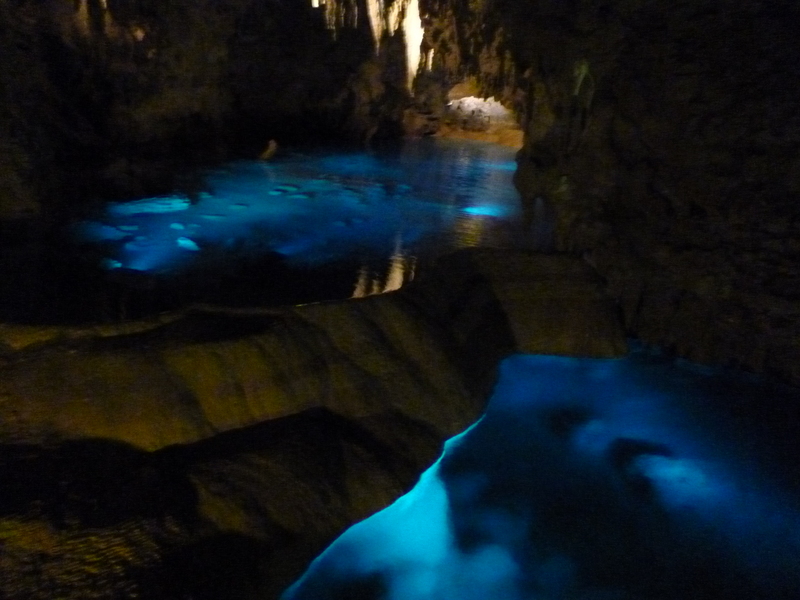 The lights illuminating the pools of water made for a gorgeous sight. The pictures do not do this an ounce of justice. It was, in a word, amazing. After the cave, we wandered around the rest of the park and saw everything from sad animals in tiny cages to a traditional Ryukyuan village, to a glassblowing shop, to strange local fruit trees, to an Okinawan distillery where they were fermenting Habushu, or Habu Sake. 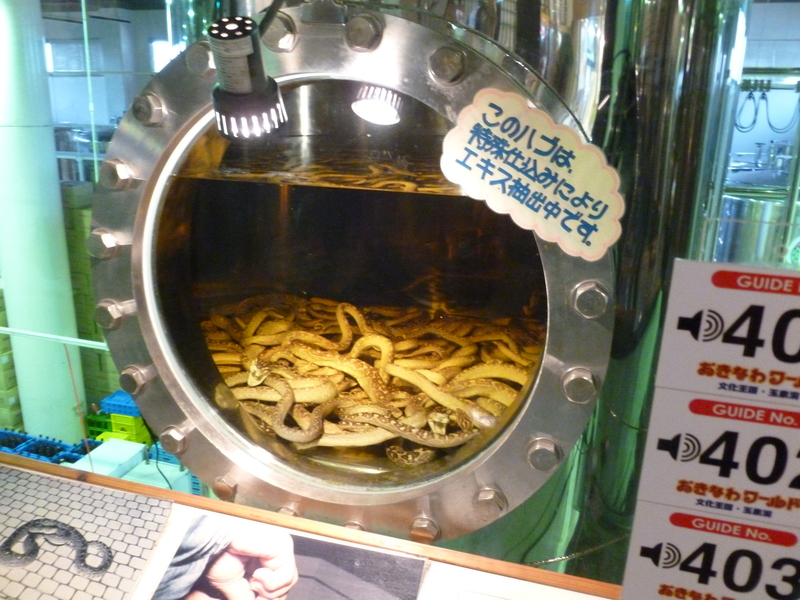 This is a type of awamori where they ferment the liquor and then put dead snakes inside it. We’ve seen this sold all over the island in bottles with a snake inside, but this was much more intense than that. Ugh! The snake displays would be a turn-off to me, too. Can you imagine drinking dead-snake sake? Seriously, hate snakes! Glad you were there and not me! 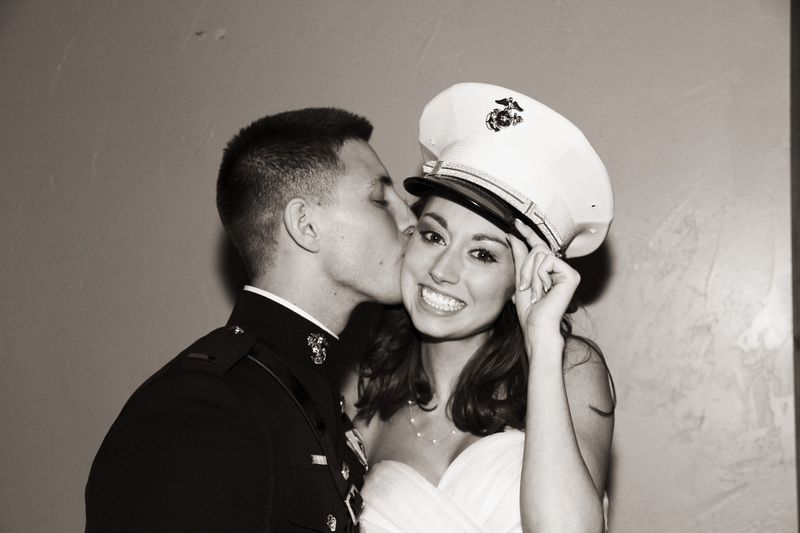 Love looking at the pic’s though. The tunnels are beautiful! Oh yes, I have never quite been a fan of snakes. My husband has a pet ball python that lives in San Diego with his father. That snake has grown on me, mostly because it hasn’t tried to eat me. 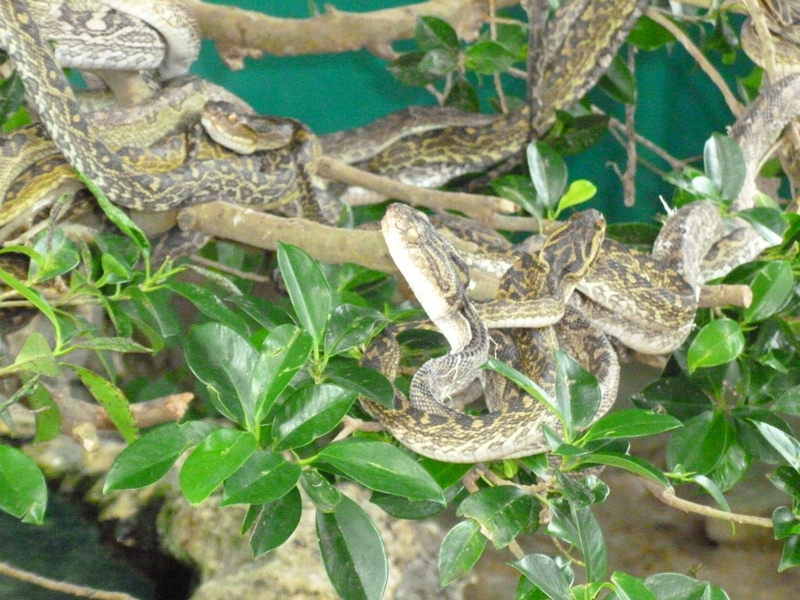 These snakes, however, are deadly poisonous and have been known to come out of hiding in the woods and chase people down. Not nice guys.